This week has been really busy, so only this weekend I found some time to go through the incoming comments. I found quite a bunch of spam, which is unusual, because WordPress.com uses Akismet which is trying to trap this. Mostly it succeeds (like 99+% of the time), but sometimes it doesn’t, and this week there were more than normal. So I marked them all as spam, and now the Askimet stats headline at https://wiert.wordpress.com/wp-admin/index.php?page=akismet-stats-display still says “0 missed spam”, and a “100% accuracy rate” but the tables there clearly indicated a bunch of missed spam. Just in case you wonder too: The spam this week was all about low priced installation guides on getting old software installing on new operating systems. Last week, Google+ improved a lot; Matt Waddell posted a list, including a reference to the “What’s new in Google+” page. via: Matt Waddell – Google+. Don’t forget to hug your sysdadmin, as today is System Administrator Appreciation Day! 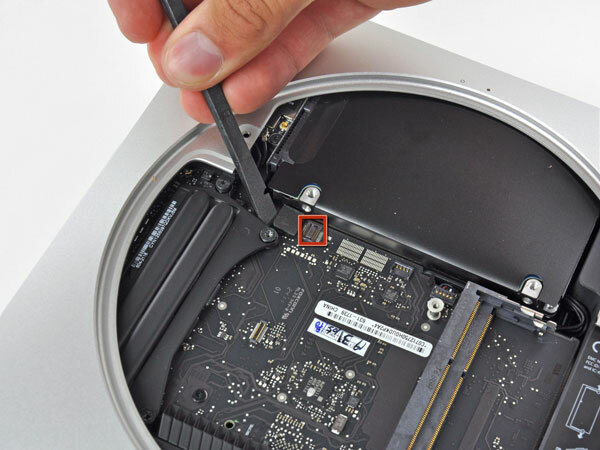 Last week, this was big news in the Apple world: the new Mac mini will ship without a built-in SuperDrive DVD-drive leaving room for a 2nd HDD drive. This was in fact the main reason I bought a Mac Mini Server last year: it had 2 HDD drives built in and no SuperDrive. The last time I used optical drives for storage media since was back when I bought a ThinkPad A20p early in 2000 (yes, I’ve lived in both the Mac and PC world for decades now). One of the first things I did back then was buying an Ultrabay 2000 HDD Adapter, so I could fit in a second HDD and ditch the DVD-ROM player. Since then, I loaded CDs and DVDs using ISO image files usingthe Daemon tools virtual DVD drive. The Apple Mac lagged behind on this very much, I’m not sure at which Mac OS version they finally introduced support for ISO images in Disk Utility, no later than OS X in 2007 though. In the Mac world, apparantly so, but I have lived without optical drives for using data for over a decade now. To help out foundations and voluntary organizations (like Stichting de Zevensprong that organizes activities for people with mental retardation) to distribute multimedia of their activities. Looking around me, I’m certainly not alone. Having two HDDs (or three, like the ThinkPad A31p in 2002, and the ThinkPad W70x in 2008) makes it so much easier to make backups or have more storage. I’m glad I have being able to to that for a very long time, even on a Mac. via: Apple updates Mac mini: Core i5 and i7, Thunderbolt, AMD Radeon HD, no SuperDrive — Engadget. PS: Don’t forget to hug your SysAdmin today!